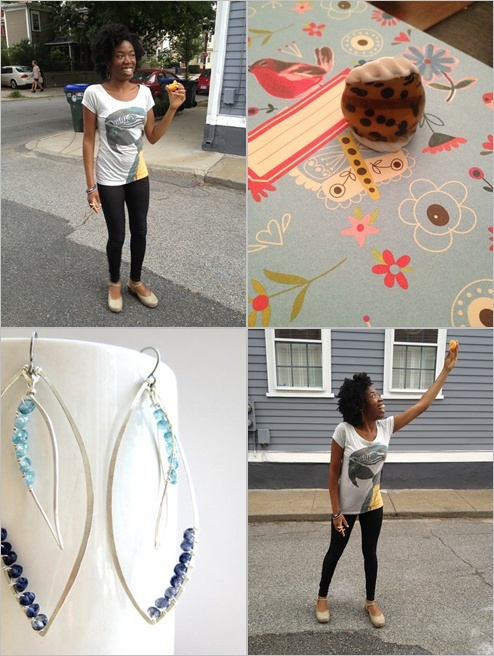 Olivia Cleans Green: #WIWW: Ain't No Party Like a PVD Apricot Party! Yesterday, I had the best afro day. Today wasn't too shabby either. I decided to celebrate my big hair by munching on an apricot that somehow coordinated with my outfit. I party hard! I hope you're having a great hair day too, especially if you're a Leo! If you're visiting from WIWW, please say hi. Also, enter my giveaway of awesome vegan, organic shoes from Bhava. Consider supporting this blog by clicking on an ad or shopping via my Amazon shop. Thanks.